School of Mechanical Engineering, Hebei University of Technology, Tianjin, 300130, China. 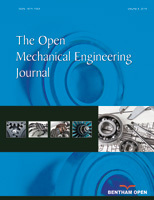 This paper introduces a kind of mechanical structure and its control system, with which granular materials can be put into mould with a higher leveling status, the mechanical structure adopts split type arrangement, its function is to achieve the material removal and scraping, its control system is composed of a plurality of Mitsubishi PLC using masterslave control method. The mechanism and control methods can be widely applied in automatic production lines, which needs granular material into the mould quantitatively and passively wiped flatly.